How do you create a positive road culture? In 1998 there were thirty-three million vehicles on India’s roads, and one out of ten was in New Delhi. Aside from cars, trucks, and buses, Delhi has about two million non-motorized vehicles: horse drawn carts, handcarts, bullock carts, cycle rickshaws, and bicycles. Despite the growing number of accidents (80,000 people die every year on India’s roads), there has been no comprehensive attempt to change the road culture. Rohit Baluja is training drivers, engineers, traffic police, and reaching out to all the various professions that have some stake in vehicles and roads to change this attitude. Through defining good road use, writing training manuals, and inventing law enforcement tools, he is working to make the streets safer, and saner. Baluja has combined education and technology to spearhead a movement that enables citizens, police, and businesses to improve all aspects of road culture in India. His work with police moves them beyond surface road safety issues to deeper disciplines of road management, road engineering, and, last but not least, the psychology of road usage. At the citizen end, he uses competitions, awards, and volunteer projects to build awareness among bus drivers, truck drivers, and students (typically the villains of Indian roads). Baluja has set up the country’s first interactive drivers’ training school in New Delhi and authored an exhaustive multi-disciplinarian handbook on safe driving. 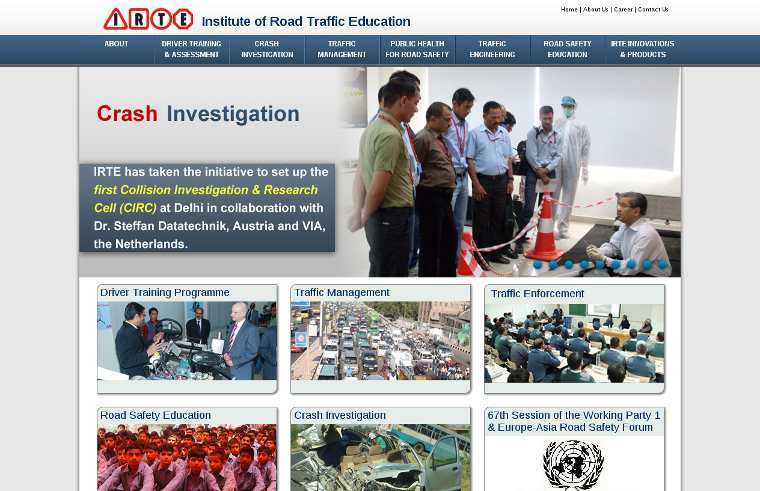 Already, the trainings and technologies generated by IRTE are on the road in more than six states in the country.